It’s becoming more commonly known that diversity isn’t just good sense, it’s also good business. When organizations embrace diversity, equity, and inclusion, they open themselves up to innovation and usher in success. 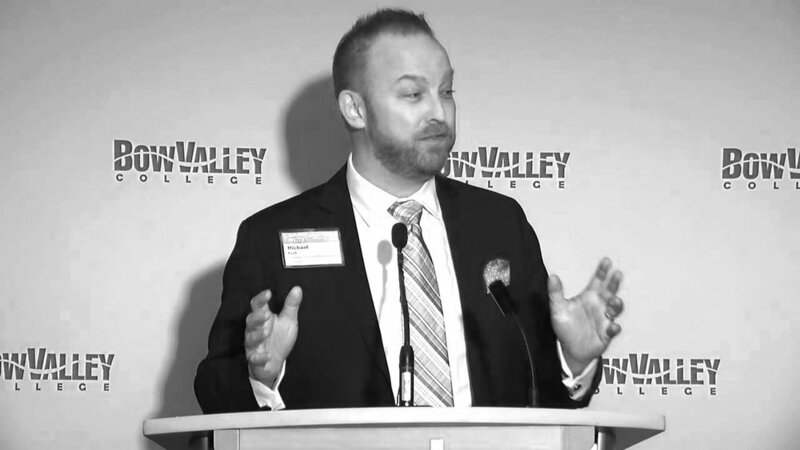 In powerful yet lighthearted talks, Michael Bach—founder and CEO of the Canadian Centre for Diversity and Inclusion—reveals why your company needs to develop strategies for adapting to and encouraging a diverse workforce. He tackles all levels of your organization and provides takeaways you can implement tomorrow. The benefits, he says, will be innumerable. Michael Bach is internationally recognized as an expert in the fields of diversity, inclusion, and employment equity. As the founder and CEO of the Canadian Centre for Diversity and Inclusion, he has deep experience in strategy development, stakeholder engagement, training and development, diversity-related legislation (Employment Equity Act, AODA, etc. ), and much more. Michael was previously the National Director of Diversity, Equity and Inclusion for KPMG in Canada. He was also the Deputy Chief Diversity Officer for KPMG International. During his tenure, KPMG Canada received several prestigious diversity-related awards, including being named one of Canada’s Top Employers for Diversity, one of Canada’s Best Employers for New Canadians, one of Canada’s Top Family-Friendly Employers, and one of the Top 40 Places Gen Y Wants to Work. Over the course of his career, Michael has received repeated recognition for his work, including being named as one of the Women of Influence’s Canadian Diversity Champions, a Diversity Champion with Catalyst Canada, an Inspire Award as LGBTQ Person of the Year, and the Out on Bay Street LGBT Advocate Workplace Award, among many others. Is your organization prepared for the workplace of the future? Are your campuses adapting to and accommodating the diversity of today’s students? What will the workforce look like in one year? Five years? Twenty years? How are you as a human resources manager, team leader, professor, or any other position of influence, meeting the needs of tomorrow's diverse workforce in order to increase your organization's competitive edge? In this talk, Founder and CEO of the Canadian Centre for Diversity and Inclusion Michael Bach reveals why and how you must embrace diversity in your organization. He shares real-life examples of practices that actually work, using case studies from organizations of all shapes and sizes. He shows your audience how diversity can fuel innovation and creativity. And, he provides practical takeaways for how your organization can become a champion for inclusion, in ways that will benefit all of your stakeholders. It’s obvious what happens to an organization when employees are unhappy and uncommitted. Goodbye, growth. See you later, success. It’s a problem that virtually all organizations, big and small, experience at some point. There’s no quick fix that will magically make an organization’s problems go away. However, there is a way to turn things around internally—fast. In this high-energy keynote, Michael Bach teaches you how to create a culture that drives engagement, empowerment, and leadership across the board. Using proven techniques that have transformed thousands of organizations around the world, Michael demonstrates a practical framework you can implement as soon as you walk out of his presentation. Contact us to learn how Michael can craft a message for your audience.